The first one might be called as casual cool look, featuring jeans, tee/sweater/blouse, and pretty heels or boots. Think of yourself as model-off-duty. It's simple, effortless and extremely versatile. Personally, I consider this look to be a kinda French chic. Second style looks sophisticated, but very easy to achieve. For instance, you can go for an office outfit (office dress, pantsuit or skirt suit) and update it with a masculine leather jacket. If you want to try on something creative, then there is a perfect combo called boho-chic meets party girl. Black leather topper is worn atop flirty floral dress completed with ankle-length boots. And the last, but not least is so-called 1970's rock and roll. Go for cowboy boots, midi dress, black leather and bold make-up. 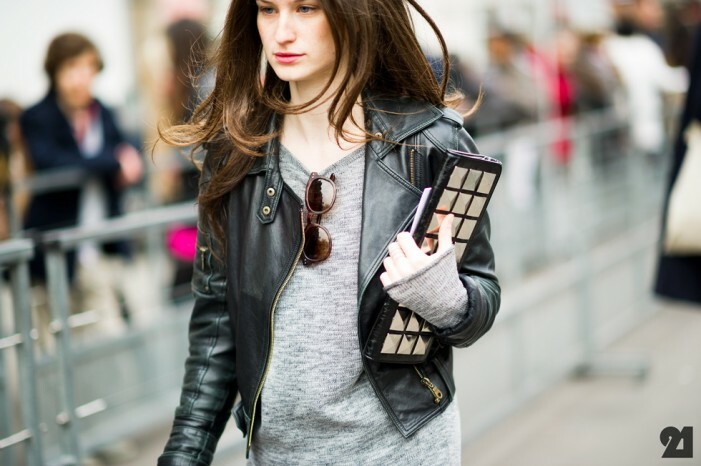 Everyone can wear leather jackets. You don't have to ride a bike or listen to rock music. Leather toppers look awesome with anything and everything, starting from preppy office classics, silky pajamas, normcore basics to floral frocks, cocktail dresses and suits. 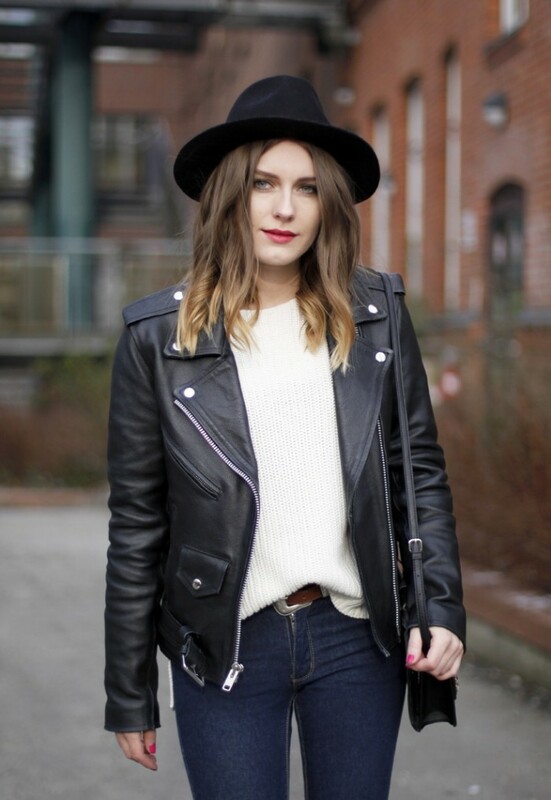 As you can see there are many interesting styles and ideas about how to wear leather jackets in real life. Possessing a classy leather jacket has become a symbol of status amongst the teenagers. You have plenty of choices in choosing these jackets and blazers. 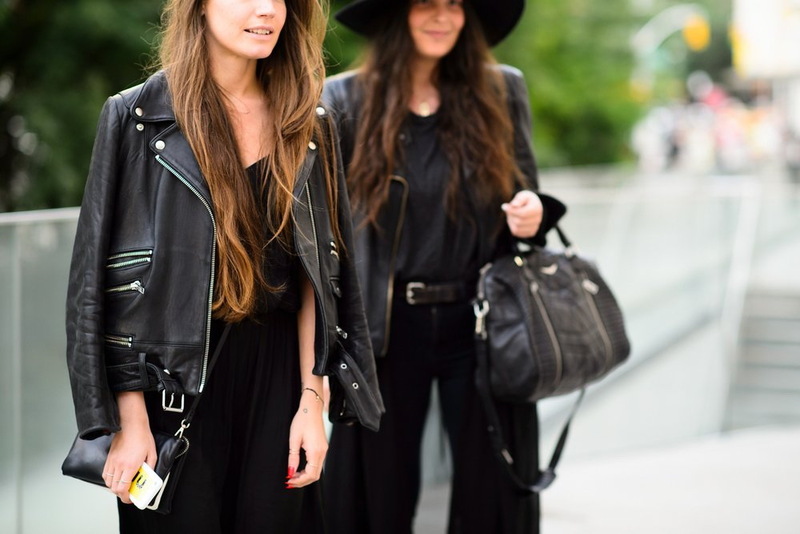 Where is the “Biker church never sleeps” black dress from?